– so says Daniel, a minor yet important character in the movie Even the rain, a movie from 2010 about the water war in Cochabamba, Bolivia. He is right: water is life. Water is a human right. But corruption in the water sector still hinders safe and sustainable access to this precious resource. Today is a fitting day to reflect on the importance of improving water integrity for better access to water and sanitation and on the difference that we can make in this fight by joining efforts, in particular as cooperation is a key theme of the water sector this year. 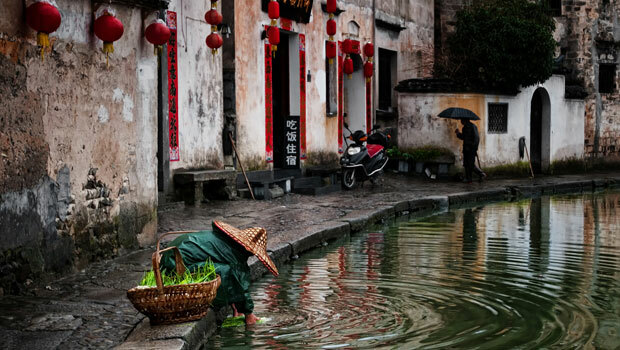 On the occasion of World Water Day, the Water Integrity Network launches its fourth photo competition. This competition seeks to explore how cooperation can improve integrity in the water sector and reduce corruption. Find all the details about how to participate here. All photos displayed in this blog post were shortlisted in the WIN photo competition 2012. This photo has been taken in China, Water City, where the smell of the streets is awful, because there are no toilet installations and people pour the sewage into the river between the streets. All food and vegetables as well as laundry and dishes are washed in the same water. This means that the water in the channels flowing between the houses, is on the same time the source of dirt and cleaning. The water war in Cochabamba is a good example of how increased participation and collaboration resulted in a positive change in access to water services for the people. Next April will mark 13 years since that social revolt. Thousands of people from different social classes; farmers and urban residents, went out to the streets to claim back a public water system after the privatisation of the services, which had resulted in a decrease in access by the populations, and the right to an equitable access to water. Today this right is recognised as a human right, but 13 years ago this wasn’t the case, complicating the fight. Their joint effort made a transnational company, with a history of mismanagement and corruption, take a backward step and still today it is considered a milestone in the fight for water integrity. A video (in Spanish) summarises some of the problems related to the privatisation of water services in Cochabamba and other regions. Video Volunteers is a community video organisation in India that trains citizens to address issues that directly concerns them through the mean of video. They have reported important cases such as the unsanitary living conditions of slum dwellers in Mumbai or the decision of the residents of Aundhewadi, Maharashtra, to take action in order to solve the situation of poor access to water by building their own water pipe. The management and conservation of wetlands is essential to preserve the native ecosystem which promises food security for the poor people. 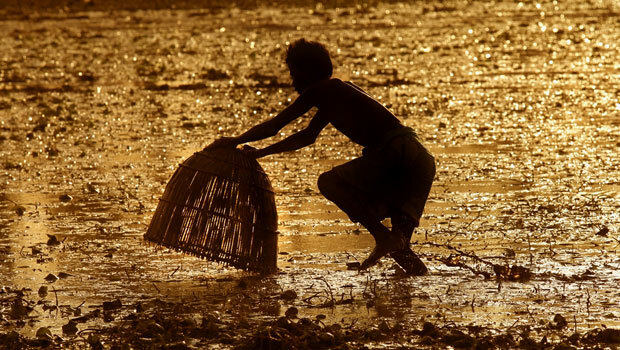 In this photo shot at Birbhum this man is seen foraging for fish in a wetland at dusk. On the other side of the world, in Peru, there is another example of effective collaboration, this one between universities and companies. The University of Engineering and Technology of Peruand an ad agency called Mayo DraftFCBand built a billboard to capture air humidity and turn it into potable drinking water in Lima, the capital of the country. The billboard, the first-ever of its kind, is a message of hope in the second largest desert capital in the world. We believe that all the experiences, good practices and problems should be shared to promote better solutions in water integrity issues. This is why we have created the Water Integrity Space and are organising the first Water Integrity Forum, in partnership with the UNESCO-IHE and the Water Governance Centre. This forum will take place in the Netherlands at UNESCO-IHE from 5 – 7 June 2013 and will be a major effort to bring together many members of the international community involved in water integrity issues. Together they will reflect on the efforts made and come up with solutions and collaborations to continue preventing corruption from depriving people with access to water and sanitation. We are sure it will bring a lot of new initiatives and will improve the work we do. Many fishermen depend on this river for fishing in rainy season. But in the other seasons this river dries up completely. The fishermen are unable to use their boats in the shallow water for fishing in the dry seasons. 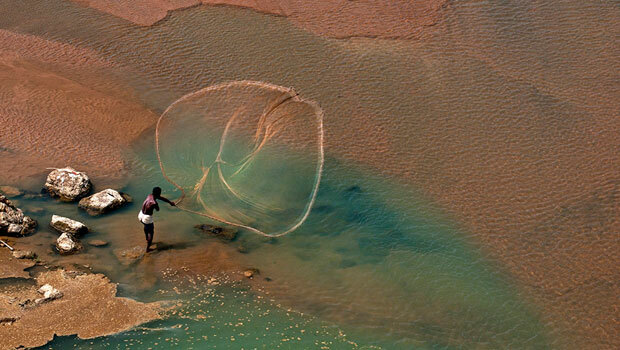 In the dry seasons they go down to the river bed level and use hand net for fishing in traditional way. ← Get involved: Support a mobile transparency project!